The world of digital cable is now upon us. Below is just a few of the great features that makes ATVC's Digital Cable the best entertainment value in the area. You can click the following link to learn what is the difference between digital cable and analog. For those of you who are curious we have a great page that explains more in depth; "What is digital cable?" With your paid subscription, you will receive Standard Cable Service on all additional TV's in the house. Local Programming Included in cost. New digital channels, with more special interest choices than ever before. CD Quality, commercial free music. Giving you a wide variety of choices, great for fans of all types. Dozens of IN Demand Pay-Per-View channels. More channels means ATVC is ready to deliver you the latest box office hit movies, sports, concerts and original shows. New, easy-to-use, on-screen interactive programming guide allows you to just point and select the programming you want. Crisp, clear picture and sound, on the TV you already have. 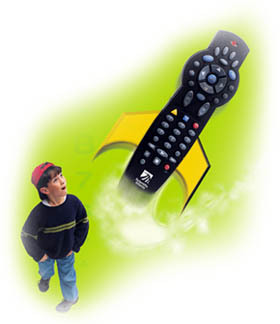 ATVC Digital cable gives you that movie theater, edge-of-your-seat excitement. Multiple channels of your favorite premiums like: HBO, Showtime, Cinemax, The Movie Channel, and now introducing STARZ Super PakSM, that includes Encore. If you subscribe to HBO, Showtime, The Movie Channel, Encore, or Starz! you automatically get more channels from these great services. More channels means more choices any time you want to watch. The Digital Admissions tier includes a wide variety of programming, like 17 channels including Independent Film Channel, 7 Discovery Channel Networks , 3 Nickelodeon Networks, 3 MTV Networks, 3 VH-1 Networks. With more than 23 channels on Pay-Per-View INDemand, you can choose from a variety of movies that start every � hour, blockbuster events and seasonal sports packages from the NBA, NHL, MLB and ESPN. Ordering is simple through your remote control. Sit back, relax and enjoy the show!